Emmy was already sound asleep, and Lily had on her pajamas. I glanced out the patio door at the fading light, and saw a glimmer. I grabbed Lily’s hand and we walked out the door together onto the deck and into the yard. The tall, cool grass tickled our ankles. “Why did you bring me out here?” a puzzled Lily asked me. She had expected me to take her to bed. We spent the next few minutes trying to catch those elusive blinking lights, but they were few and far between. Our fingers brushed the cool evening air; our cupped palms remained empty. For some reason, the fireflies were not as plentiful and easy to catch as I remembered from my own childhood. Maybe it was still too light outside or too early in the summer. I was determined to catch a firefly for Lily. Lily held out her hand as I lowered the lightning bug down to her level. The firefly flew from my hand to hers. It was as if that little fellow knew that Lily wanted to see him up close. He crawled on her hand, flew from the tips of her fingers to mine. I lifted my hand to let him fly off into the night. Pleased that she had caught one little speck of light, Lily came inside with me and I put to her bed way past her bedtime. She fell asleep quickly, dreaming firefly dreams. Join us for more Bigger Picture Moments at Melissa’s. I remember those days with my children like it was yesterday.We don't have any in California, I miss them. So glad Lily got to enjoy it. I love catching lightning bugs with my kids. Such a blast! Last weekend we brought a vented jar along camping with us and captured fireflies to create a firefly-lantern! (I let them free in the morning) Beautiful post! This is so sweet!! 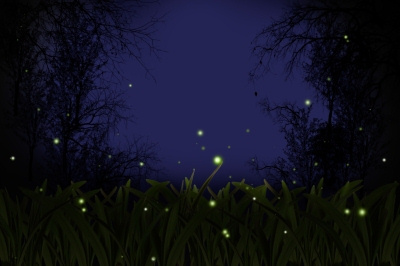 There really is something very magical about fireflies, isn't there? What a fabulous moment! What a BEAUTIFUL moment. There is magic that brews while sitting underneath dusk skies watching fireflies light up all around the yard. Thanks for sharing that small piece of your day. Goregeous! I thought you had another power outage and needed fire flies to shed some light on proceedings in your home. But the real story was so much better. When is your first book going to appear by the way: you write so beautifully! Oh, such a pretty, firefly-like moment to capture!